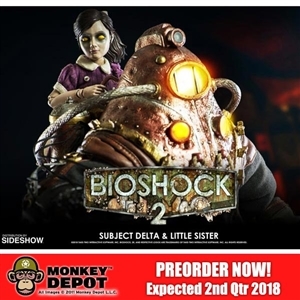 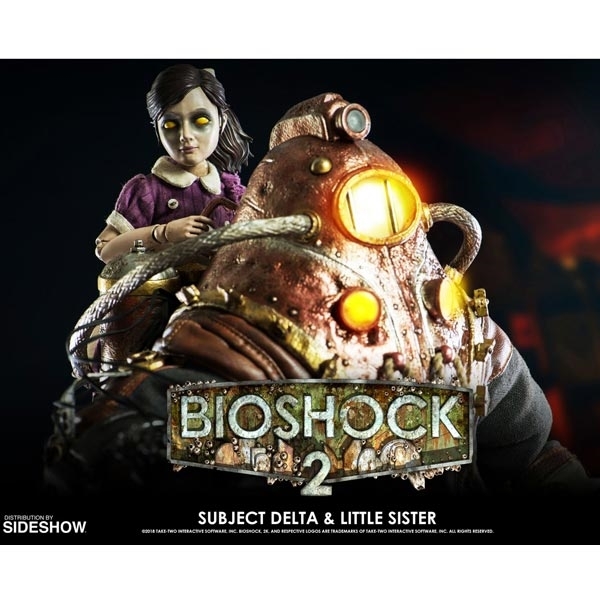 Sideshow and Threezero are excited to announce the sixth scale Subject Delta and Little Sister from BIOSHOCK 2. The Subject Delta collectible figure is fully poseable with over 35 points of articulation and features highly detailed incredible paint application to highlight all the weathering effects based on its appearance in the game. 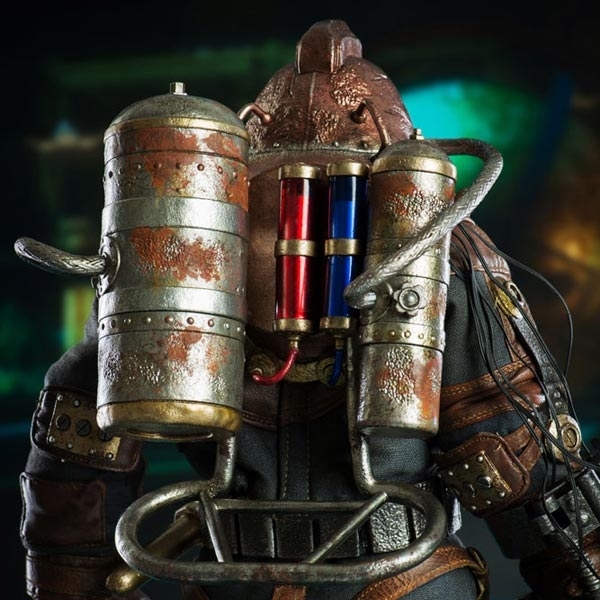 The right drill is detachable and there is a light-up feature for the head lights. 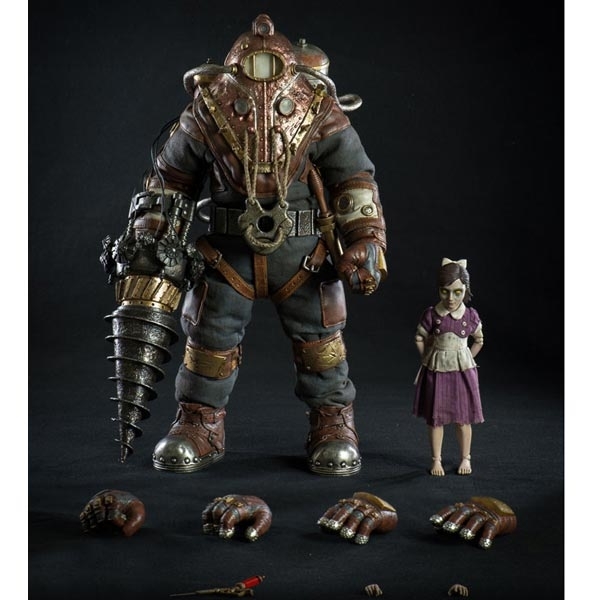 The Little Sister features tailored fabric clothing, a detailed paint application, and weathering.